Lepers of Wisdom is my latest vocal demo to date, following my vocal debut on Otherworld. Carefully chosen compositions serve as supportive musical backdrops/sound-scapes to my vocal dubs. The tracks are from some of my favorite film scores and obscure composers. I was attracted to alluring compositions by The Dust Brothers on the "Fight Club" soundtrack and John Powell's pulsing compositions for "The Bourne Identity." Also, Graham Reynolds seductive score for "A Scanner Darkly" and the haunting sound-stylings of Bay Area composer Molasses on "Conversations with My Sanity." Most of the songs on "LOW" were written when recovering from a car accident in Seattle, WA. "It happened one rainy night…" as the famous lead-in text goes, a memorable near-death experience in a crosswalk that changed the course of my life." While healing, I was haunted by several musical tracks. You can say the tracks chose me. The soundscapes called out, and the lyrics came to me very quickly. When I relocated back to Los Angeles in the early 2000s an opportunity to record arrived. I included two new songs as well, "Dangerous Curves" and "Stretch." Both songs were written just days before recording. The songs explore ecstatic emotions, lucid dreams, psychic visions, and supernatural terrains. I'm currently prepping material for a new voice-over and vocalist reel. I look forward to forging new musical collaborations. Over the last several years, I've been busy directing film shorts and music videos. I've also been writing original IPs and screenplays for feature films and episodic television serials. All the prep behind the scenes (musically and creatively) is leading towards future projects, several now in development. Patience and timing is everything! I'm a proud member (publisher/author) of ASCAP. The Harry Fox Agency in New York City handles all rights management and mechanical administration. ** Lepers of Wisdom - Vocal Demo CD is not for public sale. "LOW" CD is intended for industry marketing and promotional use only. Contents of "LOW" CD are copyrighted and remain sole property of all featured artists, publishers and music labels contained there in. All legal copyrights have been credited on "LOW" CD (hard copy). Illegal sales of "Lepers of Wisdom" is strictly prohibited and punishable by law. All copyrighted music contained on CD that is requested for licensing must be licensed and cleared directly through artist, publisher, management and/or music label. Sophia Segal's vocal performance and song lyrics are copyrighted by ASCAP Super Marionette, administered and monitored by The Harry Fox Agency. Cabaret/rock-opera vocals, minimalistic, cut-up, inverted melodies, outbursts of raw emotionalism that border on mystical incantation, gothic romanticism, and avant-garde dramatics. A delicate musical balance of Frankenstein-like proportions; oversized, awkward beauty that's hauntingly seductive and eerily romantic, mortally tragic yet very awakened, vivid, and alive. If Mary Shelley (author of Frankenstein) had an Ipod in the late 1700s she would've been listening to MEDIUM for inspiration. 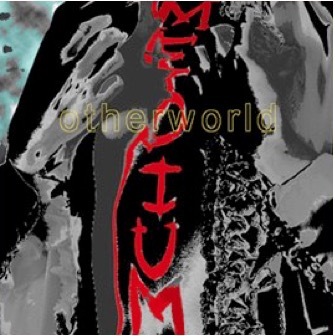 Otherworld was originally conceived in 1998 when I published my first musical project under the band name "MEDIUM".